Here is a drawing that was more a preliminary for a painting. Often times I like the original sketch more than I like the painting. I don’t dislike the painting, but the drawing holds more of my attention. If I could figure out why this is so I could greatly improve my paintings. Looking at them together now, I realize that it has to do mostly with the structure of the figure when comparing one to the other. A simple charcoal drawing with the body’s structure that reads accurately (even if it is somewhat abstracted or exaggerated) is just better then an image where my eye is trying to constantly adjust the parts of the figure. Drawing is an insanely important skill when it comes to capturing the body. 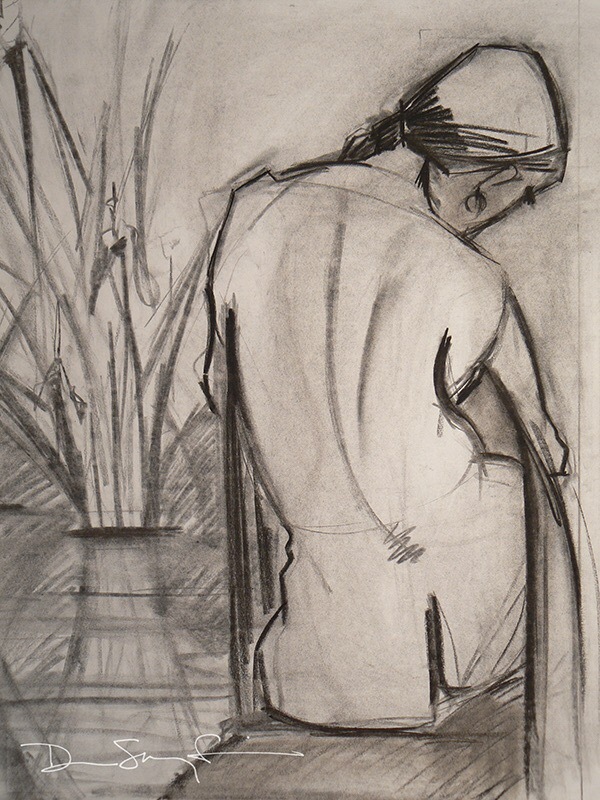 But I am beginning to realize that drawing the figure is not the same as painting the figure. Don’t get me wrong, looking and rendering the body with dry media on a regular basis most definitely improves your artistic skills and teaches you to see. 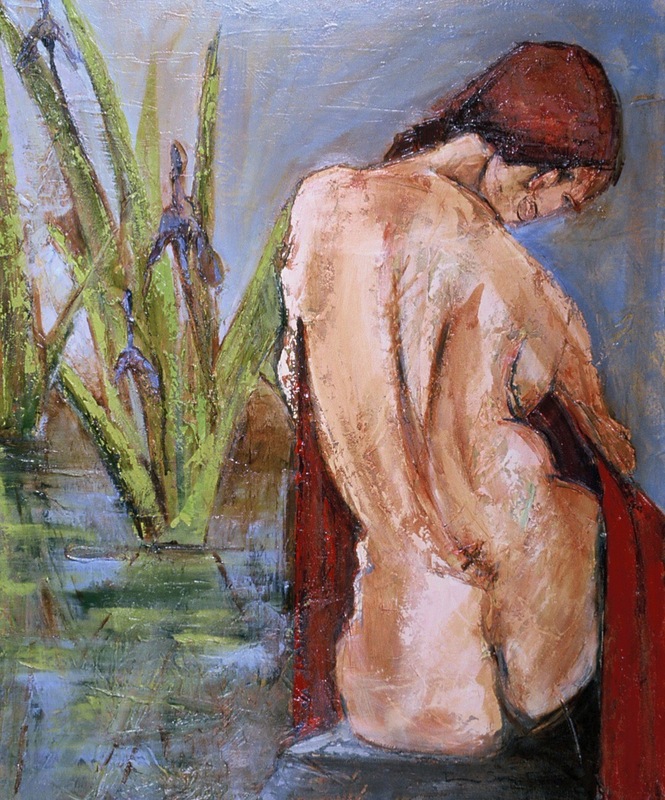 But, just as much time is needed in painting the body if you want to capture the figure in a gestural style in paint and with a brush or palette knife. This is what I have been focusing on lately. Most of my drawings are from poses that are anywhere from one minute to 25. 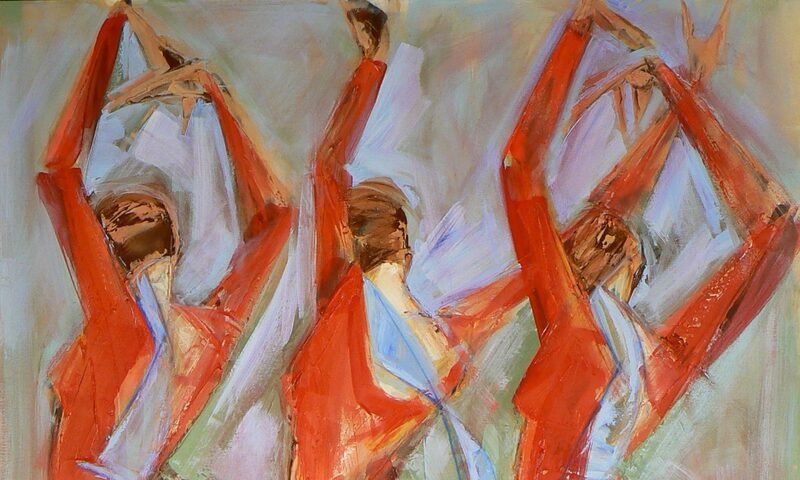 My goal is to paint the figure in that same time allotment and create a piece that accurately and dynamically captures the structure and movement of the body.